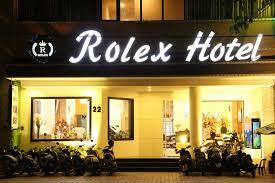 Rolex Hotel provides rooms in Đà Nẵng. The property is close to several noted attractions, around 900 metres from Song Han Bridge and around 1.1 km from Indochina Riverside Mall. The tour desk is available to assist guests in planning their days out. The rooms in the hotel are equipped with a kettle. Each room has a private bathroom with a shower. All units will provide guests with a fridge. Love Lock Bridge Da Nang is 1.9 km from Rolex Hotel, while Cham Museum is 2.2 km away. The nearest airport is Da Nang International Airport, 5 km from the property. Standard Double or Twin Room with window overlooking the street, there are 2 types of standard double bed and 2 single beds. Full facilities are provided with an LCD screen, minibar, free wireless internet, kettle, complimentary tea / coffee daily to ensure a comfortable and enjoyable stay. . Our standard room has a water pressure shower, solar hot water system. In addition, all the standard rooms at the Rolex Hotel are designed for comfort and meticulous attention to detail. 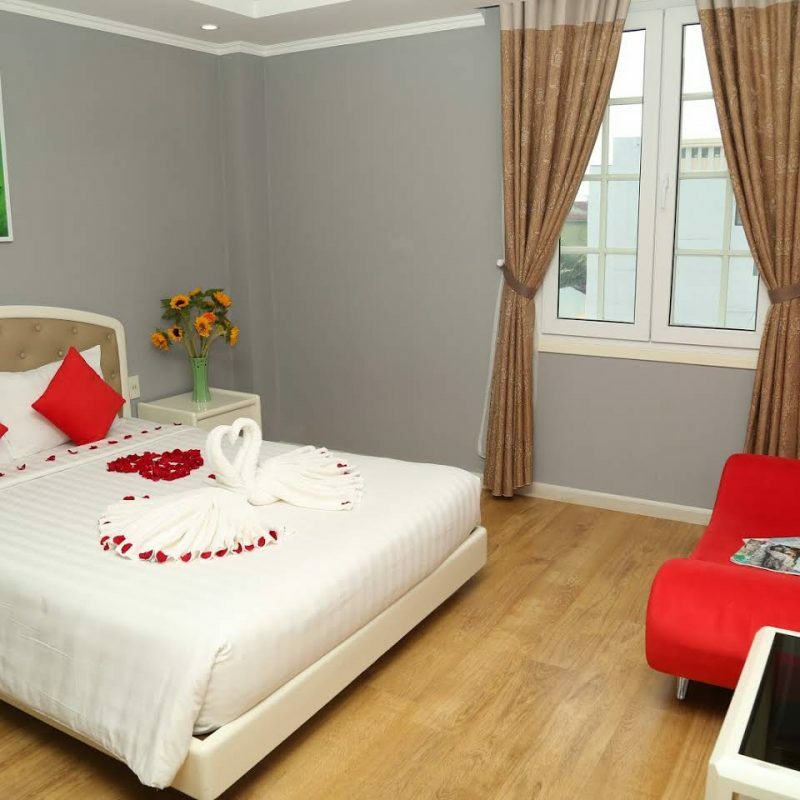 Deluxe Double or Twin Room with window overlooking the city or Han river, there are 2 types of deluxe double or twin rooms. Full facilities are provided with an LCD screen, minibar, free wireless internet, kettle, complimentary tea / coffee daily to ensure a comfortable and enjoyable stay. . Our deluxe room has a water pressure shower and hot water system with solar energy. In addition, all of the Deluxe rooms at the Rolex Hotel are designed for comfort and meticulous attention to detail. 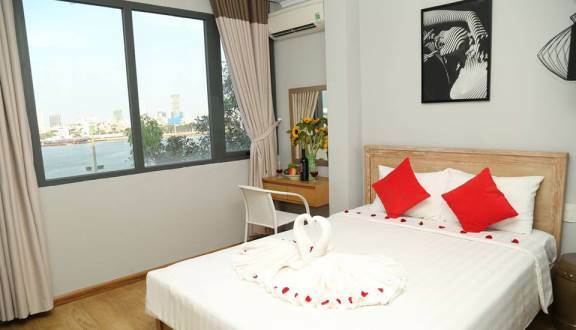 Family Room with window overlooking the city and Han River, including 1 double bed and 1 single bed for 3 guests. Full facilities are provided with an LCD screen, minibar, free wireless internet, kettle, complimentary tea / coffee daily to ensure a comfortable and enjoyable stay. . Our family room has a water pressure shower, solar water heater. In addition, all family rooms at the Rolex Hotel are designed for comfort and meticulous attention to detail. Studio apartment has 2 bedrooms, 1 living room with windows overlooking the street and balcony, 2 double beds for 4 guests. Apartment design with modern equipment, luxury bath, bed, sofa and desk, cooking utensils, city view and a corner of the Han River to make you feel excited for A new working day as well as romantic space for your stay. 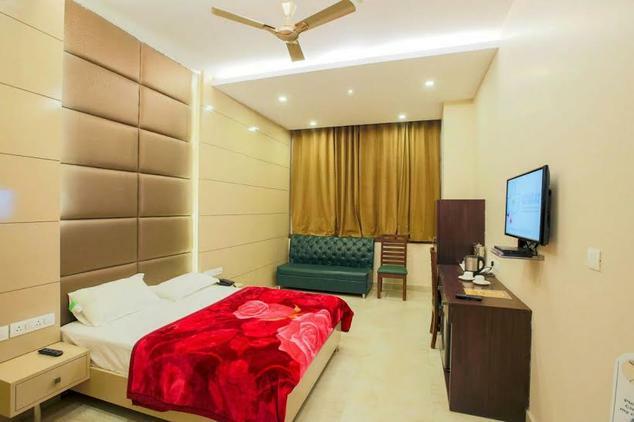 Full facilities are provided with an LCD screen, minibar, free wireless internet, kettle, complimentary tea / coffee daily to ensure a comfortable and enjoyable stay. . Our studio apartments have a water pressure shower, solar hot water system. In addition, all of the studio apartments at the Rolex Hotel are designed for comfort and attention to detail. 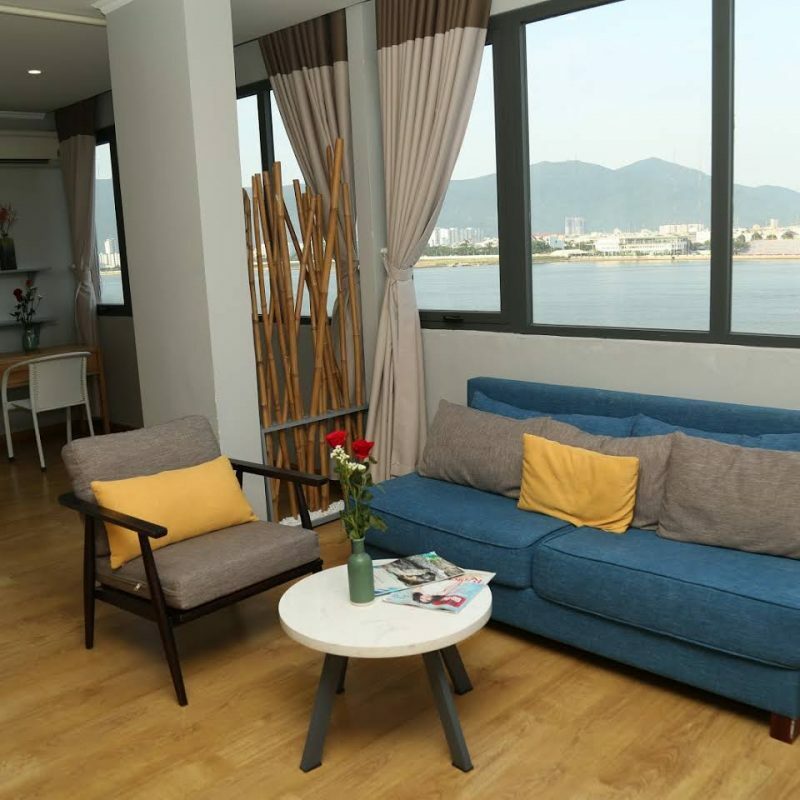 The suite apartment has 2 bedrooms and a living room with windows overlooking the Han River and the Dragon Bridge, featuring a double bed and a single bed for 3 guests. Apartment design with modern equipment, luxury bath, bed, sofa and desk, cooking utensils, city view and a corner of the Han River to make you feel excited for A new working day as well as romantic space for your stay. Full facilities are provided with an LCD screen, minibar, free wireless internet, kettle, complimentary tea / coffee daily to ensure a comfortable and enjoyable stay. . Our suite has a water pressure shower, solar hot water system. In addition, all of the suites at the Rolex Hotel are designed for comfort and meticulous attention to detail. Sep 16, 2018 – Mar 12, 2019. · Other local festival days (if any).